I drive a clunker. An old 92 Honda Civic, which has been lacking a muffler for a while now. It's noisy, it lacks AC, and all the old plastic parts are breaking, but I love it. Here's hoping it will make it to 300,000. Last summer I was having trouble with the battery. Every time it would rain, the battery would go dead. It took a while to figure out that the frame around the windshield had rusted and was leaking into the fusebox. Once I had a new windshield put in, the problem went away, but I still cringe at the memory of how many times I had to ask people for a jumpstart. Seriously, that is a painful and awkward thing. I would almost rather call a friend or family member and have them drive 30 miles than to bother a stranger. How I wish I had this little gadget a year ago. 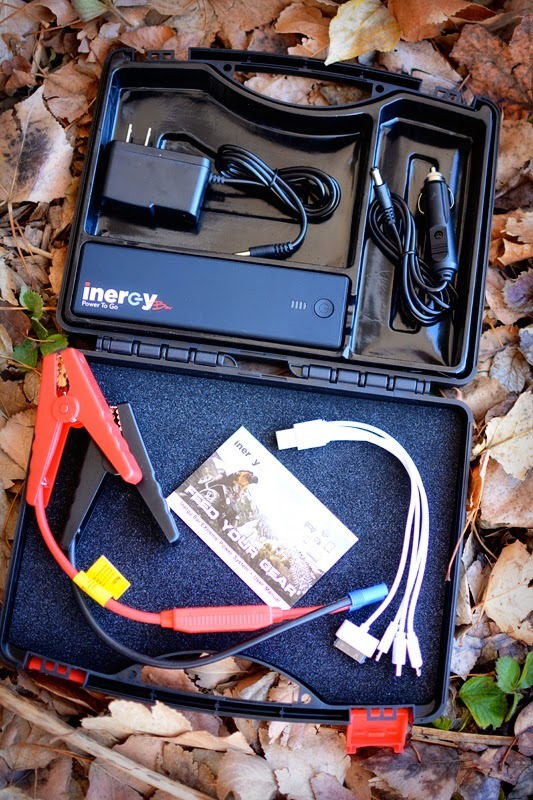 INERGY is a relatively new company; one that is dedicated to producing cleaner running lithium based batteries, which also function as solar generators. 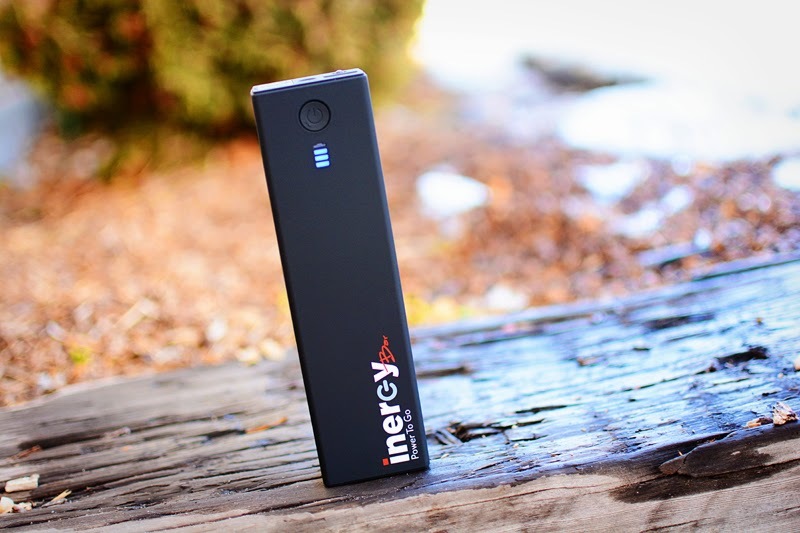 They are gaining traction too, with longer lasting batteries that weigh less and put out more juice. 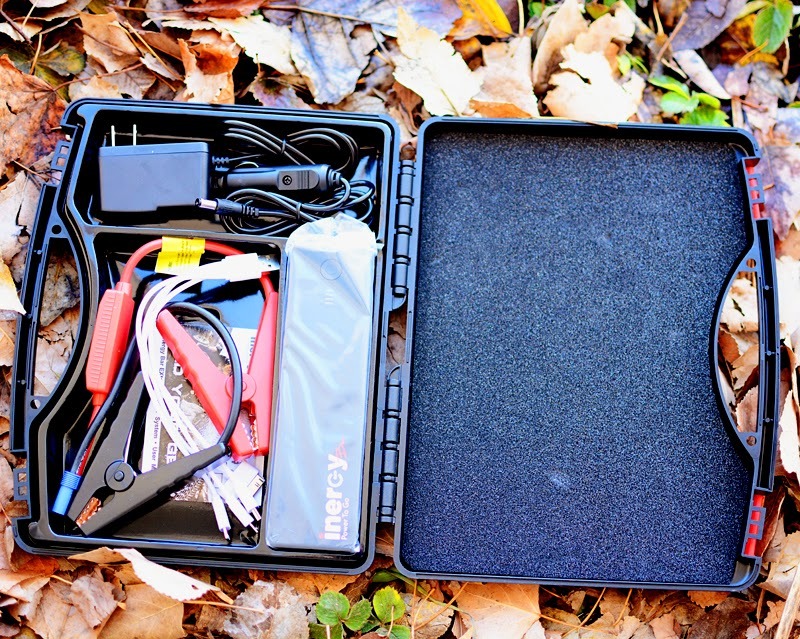 If you are at all interested in emergency preparedness, or spending long periods of time in the outdoors, you might want to check out what INERGY has been cooking up. When talking about various outdoor products, I like to try the gear for quite a while before writing a review. That is why I consider this more of a "tidbit" than a review. What little I have used this product so far I have been pleased with, but it is not enough by any means to give a full account of the pros and cons. Simply put, I thought this was a pretty nifty gadget and wanted to throw out how useful I think it will be. After putting it to the full test I will revisit with a full and honest review. 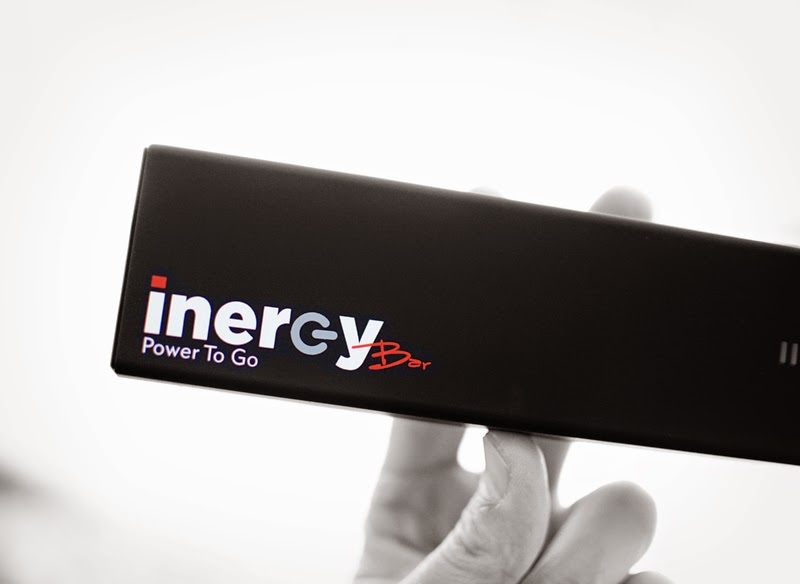 The INERGY Bar is a 12.5oz portable battery. 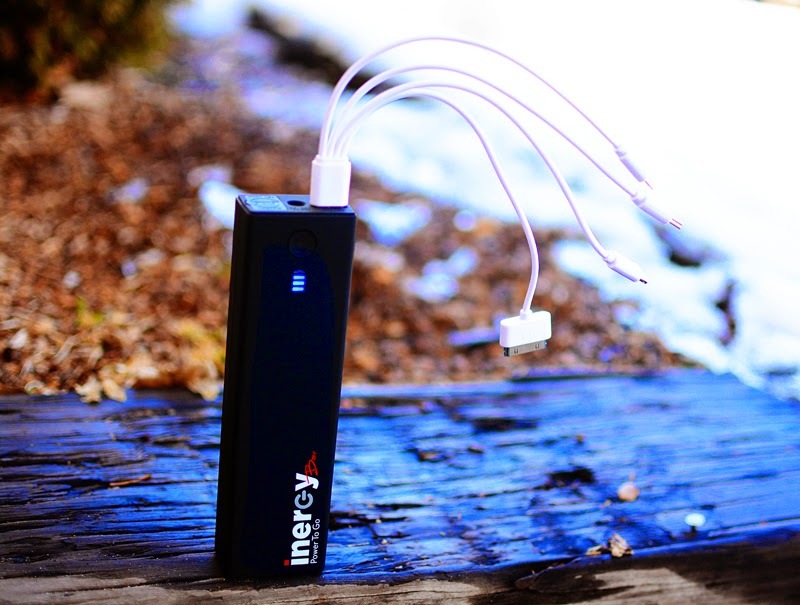 It can be charged by car, regular wall outlet, or with a separately purchased solar panel. The unit itself has a 12V 400A jump start port and cable. This would have been so handy on any of those frustrating days I had to ask for jump starts. The small unit also has a single LED light on the end, which would be quite handy in a pinch. The company states that the battery life will last up to 6 months between charges. 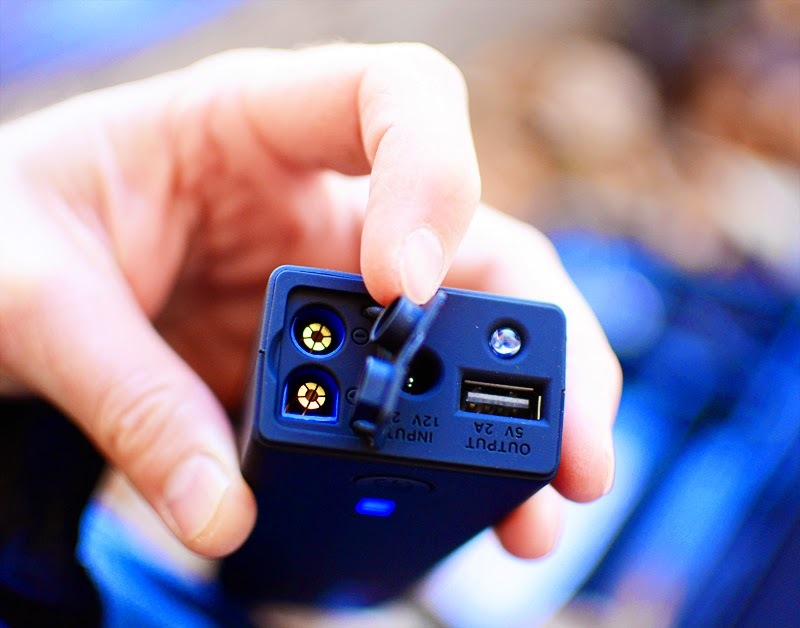 The unit also has a 5V 2A USB port that would allow you to charge almost any USB supported device. The package also comes with a USB cable that has four different adapters on it (think iPod, iPhone, micro usb, GoPro). It has a cool blue LED light on the front that tells you how much battery life is left simply by tapping the button just above it. It's a pretty basic device, but one that will really come in handy. I currently keep it in my vehicle as part of my roadside emergency kit when it's not being taking on outings. 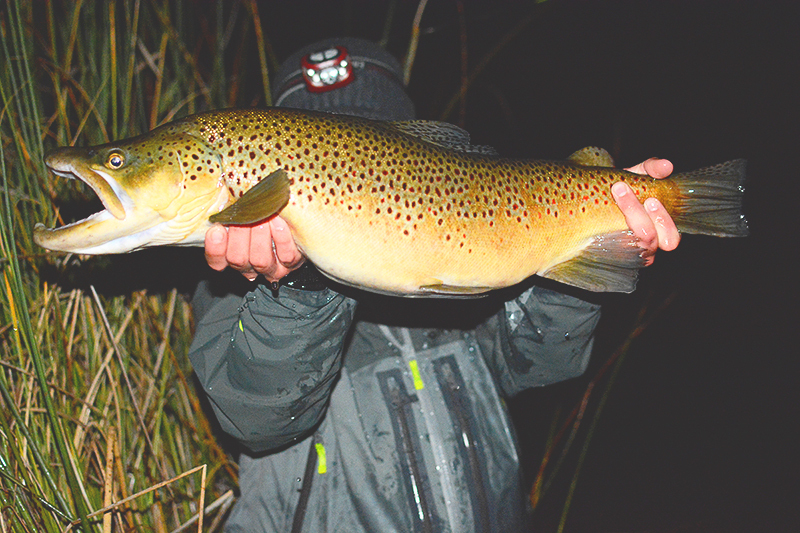 Once things warm up again in the spring, this little guy will be accompanying the guys on many a night fishing trip. 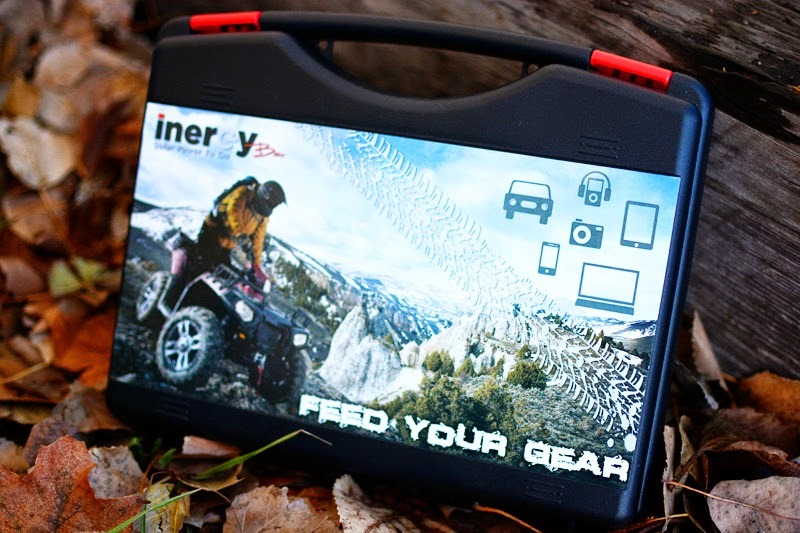 To see the full details on the INERGY Bar, click HERE.